January 18th in WordPress Themes by Wordpress Jedi . 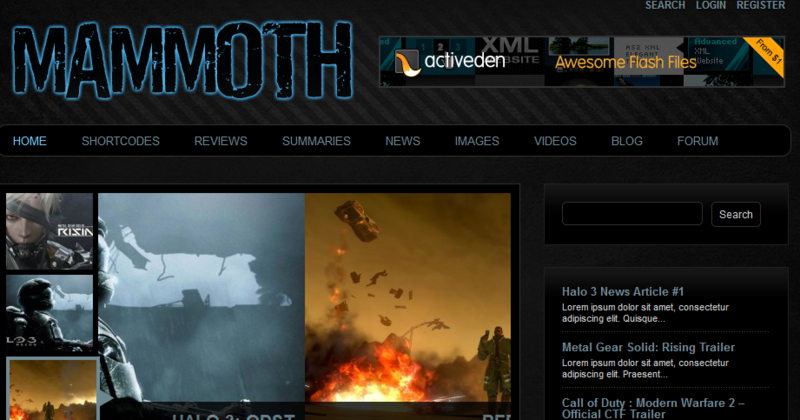 Review It: this theme is developed specifically for review sites. It is quite dynamic and has 2 skins. It supports BuddyPress. 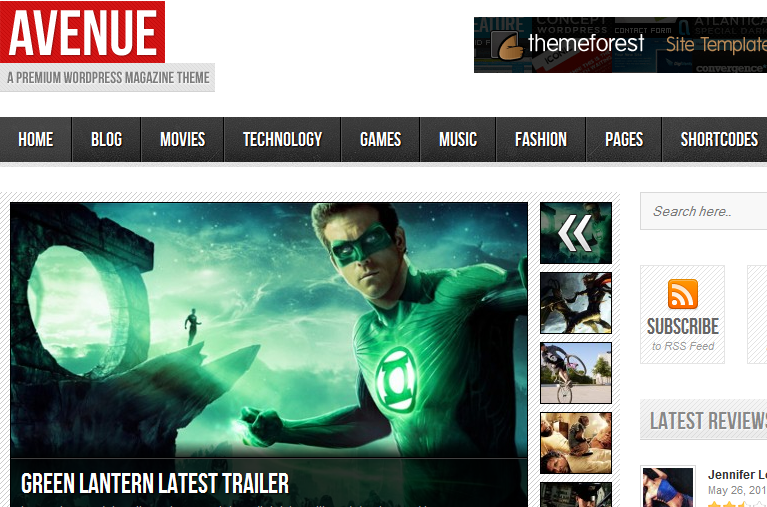 Avenue for WordPress: one attractive magazine theme for WordPress. It can handle audios, videos, and photos. Avenue is elegant and highly customizable. Reviewer for WordPress: this theme is built for handling reviews. It has a 5 star rating system. It offers 10 Google Fonts options and unlimited colors. 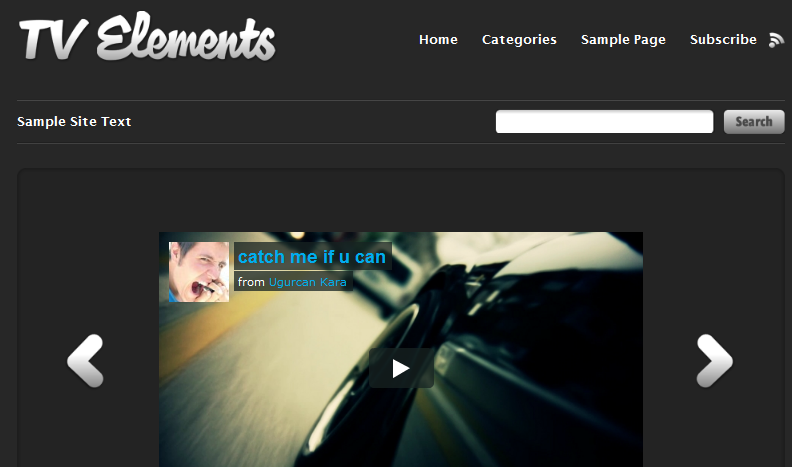 TV Elements: whether you are into vlogging or want to do video reviews on movies, this template has you covered. 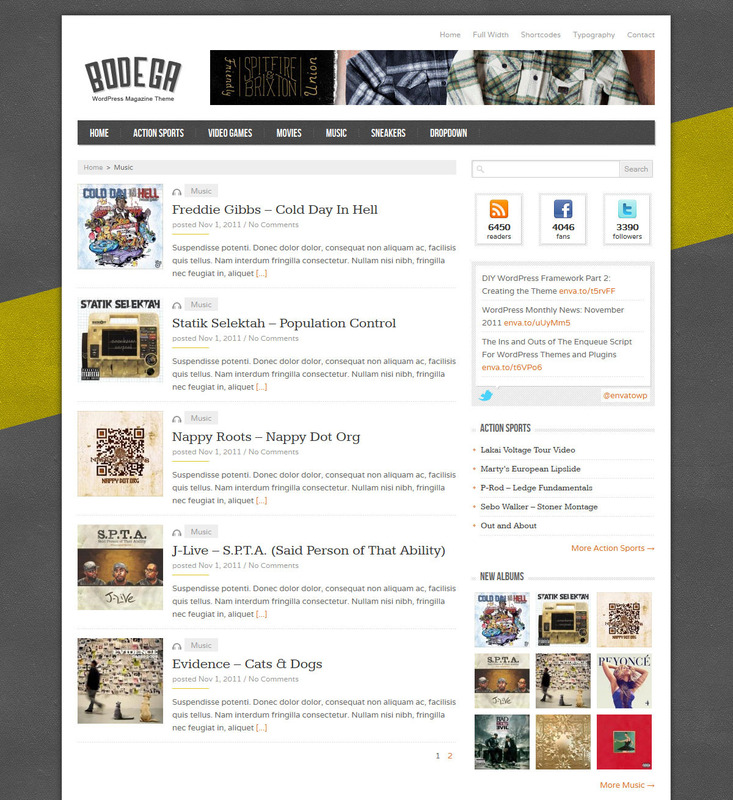 Bodega for WordPress: an elegant theme which works for sports, video games, movies, and everything in between. It offers 7 custom widgets and post ratings. Premiere Theme: this vlogging theme offers 11 color schemes and custom widgets. It is built upon the all powerful WooFramework. Mammoth: has 3 different skins. Works great for movie reviews and gaming sites. It offers 5 custom widgets. 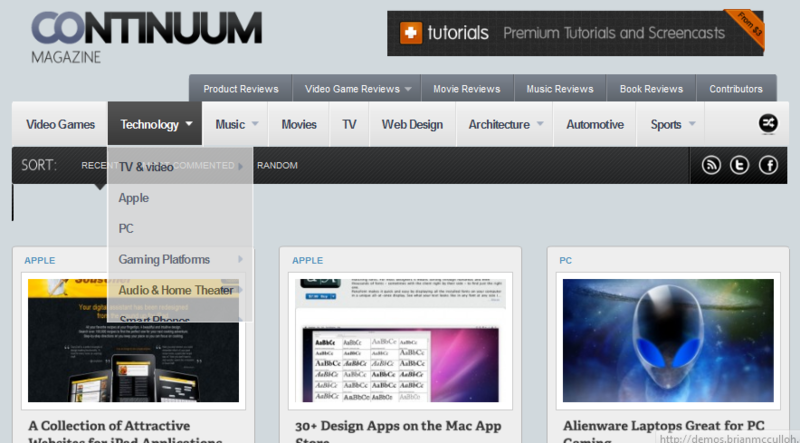 Continuum: this is one versatile magazine theme for WordPress. It can handle music, movies, games, books, and other products. It is much more useful for large portals. 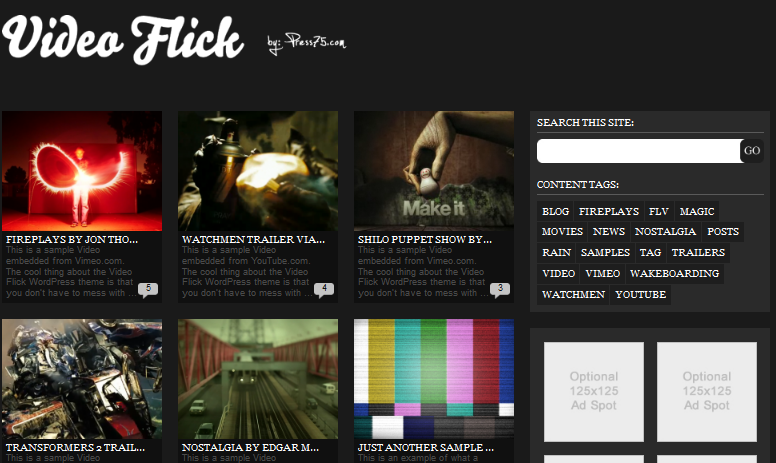 VideoFlick: another theme developed for vlogging. You can use this to review movies (using trailers) or promote your own video reviews. Boulevard: this is a beautiful magazine theme that supports 3 types of posts. It comes integrated with a review system. Which one of these movie review themes do you like the most?